Do not apply the coating below 16’C/61’F – use heaters to heat the room if too cold. Good surface preparation is the key to a long lasting finish – follow the instructions carefully. Once the Tubby-coating and the Hardener have been mixed together, the contents must be used up within 6 hours before they solidify. The bathtub may be used 48 hours after application provided the room temperature is maintained above 20’C/68’F. The use of anti-slip rubber mats in bathtubs is discouraged. 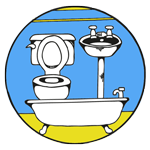 However, if one must be used, wait at least 10 days after application for full curing to take place before placing mat in bathtub. When resurfacing domestic equipment (washing machines etc.) it is not necessary to strip the original paint off the equipment. However, any flaking surfaces must be removed and rust areas sanded to shiny metal. Cellulose/lacquer thinners can be used for cleaning purposes. Any dust or imperfections in the new surface can be removed after the bathtub has been in use for 10 days, by using water and 1500 grit waterproof abrasive paper, very lightly, on affected areas, followed up by using polishing cream. This process can also be used to improve the shine/gloss of the bathtub. The roller head must be used parallel to the contours of the bathtub. Make sure the bathtub, paintbrush, paint tray and roller head are dust-free prior to use. 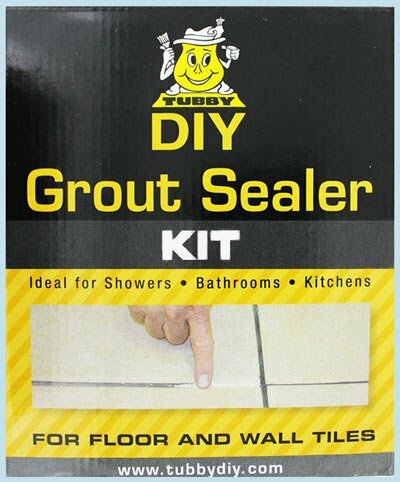 Before surface preparation,remove any synthetic sealant (excluding tile grouting) from the gap between the bathtub and tiles. This product does not stick well to sealants. Using the cleaning powder, mixed with a little water, and the cleaning sponge, clean surface thoroughly to remove soap and oil residues. Pay special attention to the edges against the wall, around taps/faucets outlet and overflow. Rinse off thoroughly with warm water. Using warm water and 120 grit waterproof abrasive paper, san the surface thoroughly (with special attention to edges, and the areas around the taps/faucets, outlet and overflow) to remove the shine. Sand until waterproof abrasive paper has worn through completely. 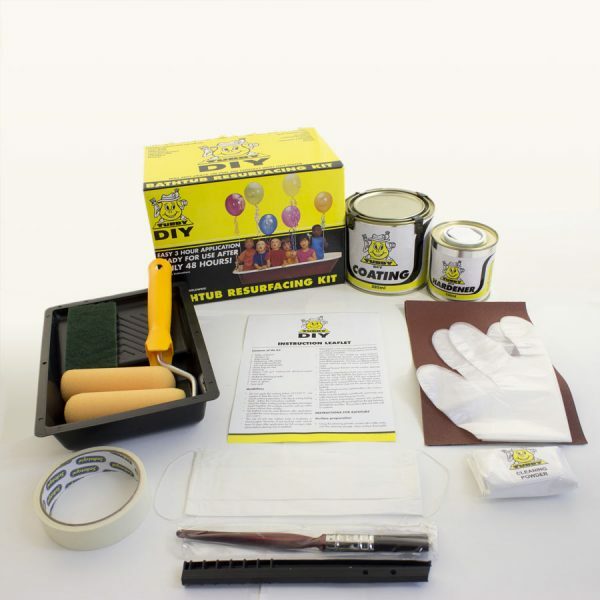 Remove any signs of rust by sanding well with the 120 grit waterproof abrasive paper. Chips, scratches or any other damage can be repaired using epoxy filler or fine grade polyester filler that must be completely cured before applying the coating. Rinse with plenty of warm water, then dry thoroughly with towels etc. Using tissue paper to soak up excess water around the outlet, overflow, taps/faucets and edges against the wall. When the surface and surrounding areas are completely dry, use masking tape to mask the edges against walls (2mm above bathtub surface), around outlets/overflows and taps/faucets. Cover taps/faucets/overhead shower with the plastic bags to prevent water leakage. Pour all the contents of the Hardener tin into the Tubby coating tin. Mix contents well with paint stirrer, scraping bottom of tin. 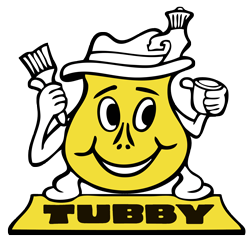 Replace lid on the Tubby coating tin and turn upside down and shake vigorously for 5 minutes. Turn tin over; remove lid and leave to stand for 5 minutes before application. Put on gloves and mask. Pour approx. 1/3 of the mixed coating from the Tubby coating tin into the paint tray. Replace lid on tin. Ensure that the surface is dust free and completely dry before applying the coating. Using the paintbrush, brush areas that cannot be reached with the roller (e.g. outlet, around taps etc.). Place the paintbrush into the plastic bag to keep it from drying out, ready for the second coat. Fit roller head to roller handle and apply the first coat with firm, even strokes. Roll as close to the edges as possible, overlapping brushed portions to obtain a smooth finish. After the first coat has been applied, remove roller head and discard. Allow the entire surface to dry for a minimum of hour and maximum of 2 hours at 20’C / 68’F or more. A heater may be used to heat up the room in cold conditions. Put a second pair of gloves and second roller head to roller handle. Pour remaining mixed coating into the paint tray. Using the paintbrush and roller, apply the second coat liberally, avoiding runs. When complete, remove the masking tape very carefully by pulling it up and away from the surface. Leave the plastic bags on the taps/faucets until the surface has cured completely (48 hours minimum). Use a soft liquid soap with soft cloth to clean bathtub. Do not use cleaning products with high ammonia or caustic soda content (e.g. toilet cleaners etc.). Do not use abrasive powders or harsh scouring sponges. Do not use the bathtub as a regular wash trough. Do not leave coloured cosmetics products i.e. shampoo, bubble-bath etc. standing on the bathtub – dark pigments could stain the surface. Ensure that the taps/faucets do not drip – the water from dripping taps will eventually cause surface pitting. From time to time the surface can be polished with car wax polish. Prior to polishing, the bathtub should be sanded lightly with water and 1500 grit waterproof abrasive paper. Irritant to eyes and skin. If contact is made with skin, wash with soapy water. If contact is made with eyes, flush with plenty of water – seek medical advice if needed.